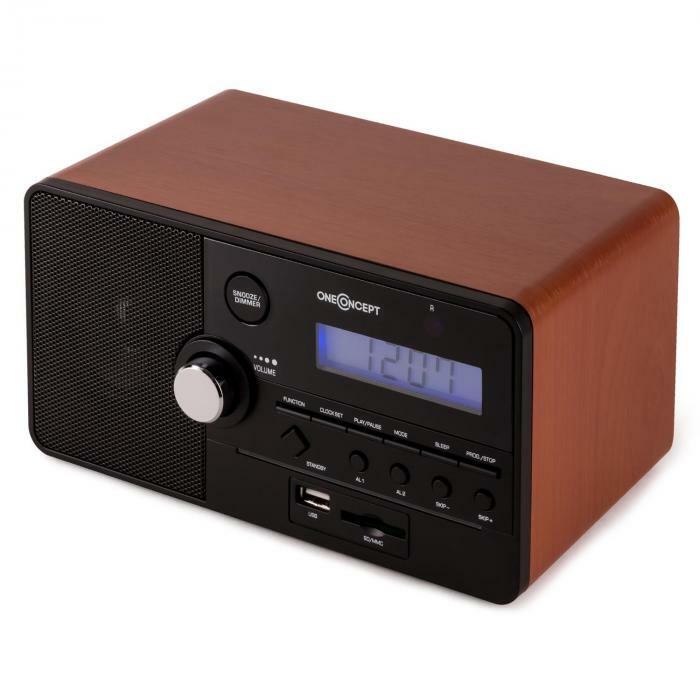 The oneConcept alarm clock radio thrills with a classic design and modern features: a compact all-rounder for the kitchen or the bedroom! 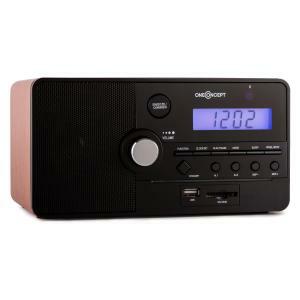 With its attractive wooden casing, the radio fits seamlessly with modern furniture landscapes. 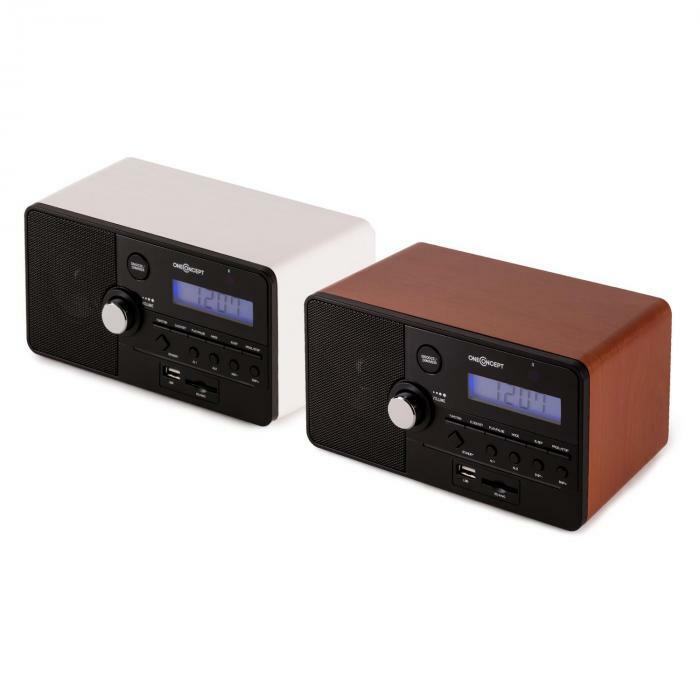 In addition to a classic FM radio with 30 presets, it features a USB and SD / MMC interface, allowing you to play your music libraries stored on modern devices. 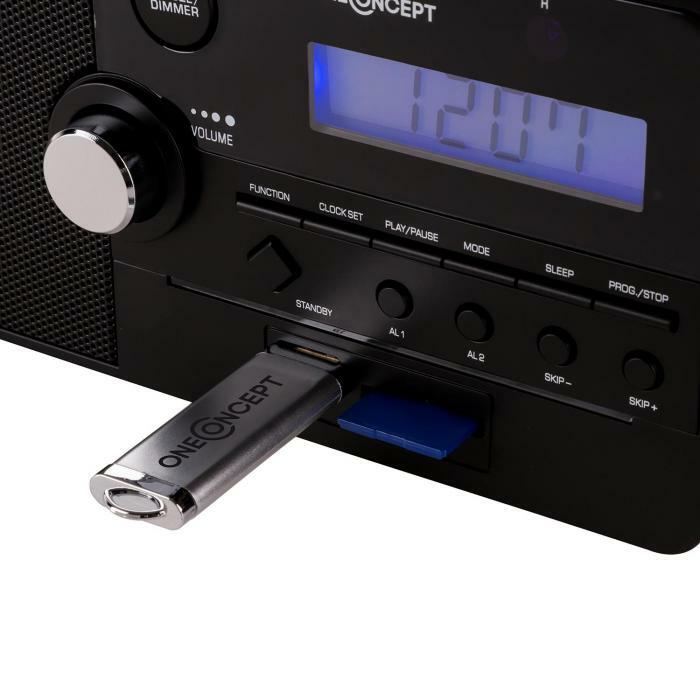 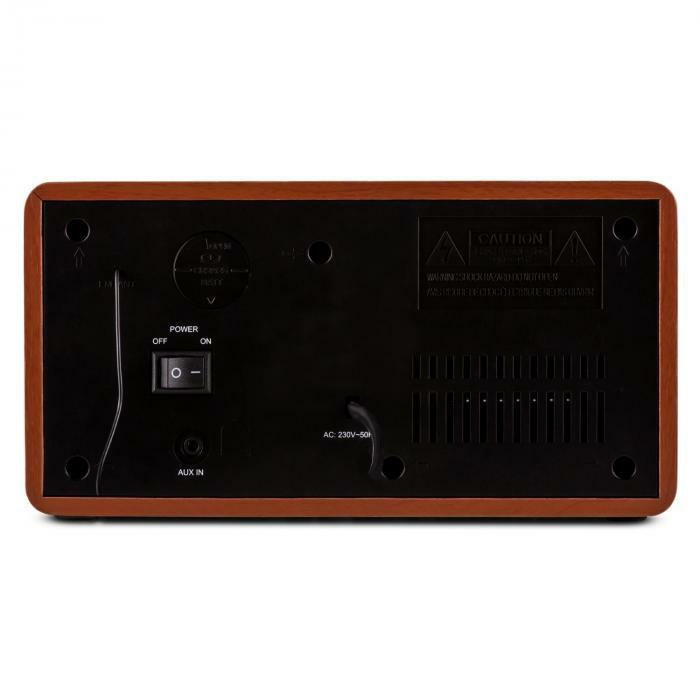 The additional 3.5mm AUX input offers the opportunity to connect external audio sources such as CD players and tape decks to the oneConcept device. 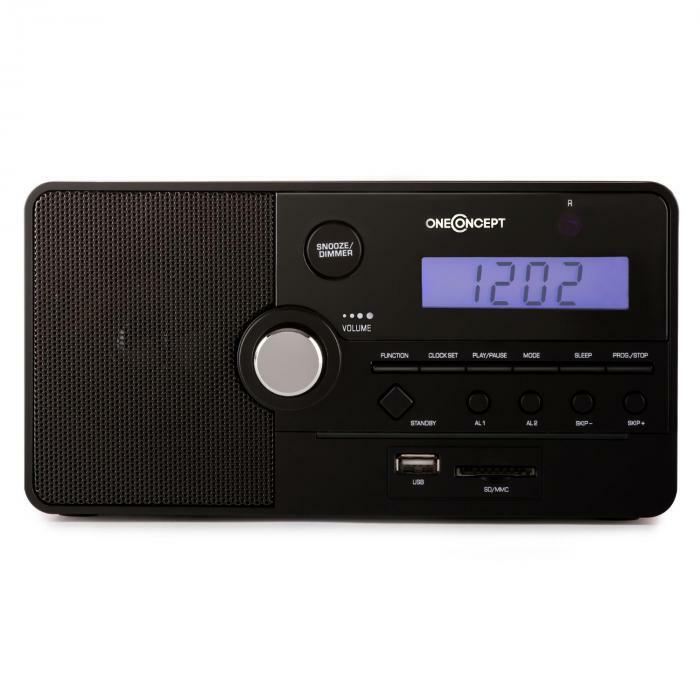 With the built-in sleep function, the device automatically switches off on request after 10, 20, 30, 40, 50 or 60 minutes - perfect for falling asleep to your favourite sounds. The timer function allows music lovers to select how they wish to be awakened at two different wake times - via the built-in alarm, with music on USB stick or SD card or by your favourite radio station - start every day according to your own taste!